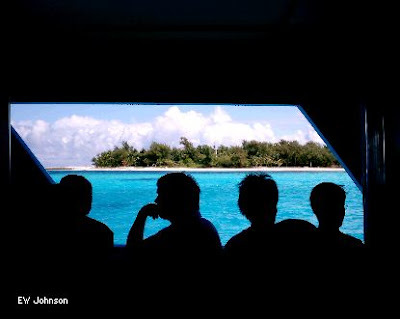 A short ferry ride will take you to Managaha Island. 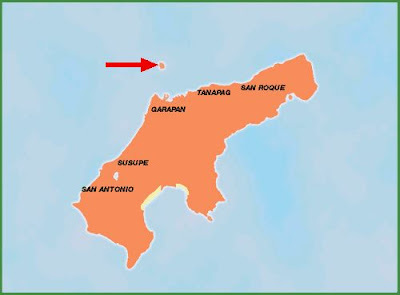 This is the small island that you can see from the Western coast of Saipan. The clean beach stretches all the way around the island. It only takes 20 minutes to walk around the island on the beach or you can take the nature trails through the center. The snorkeling is terrific at Managaha. There are also two large Japanese WWII cannons on the island. 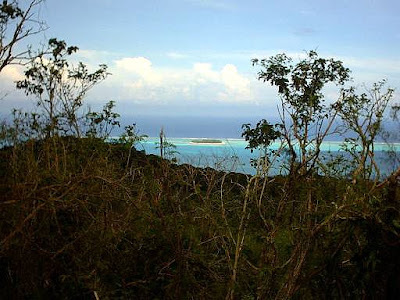 Picture of Managaha Island taken from Mt. Tapochao. 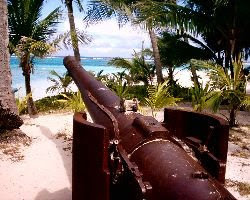 The two WWII Japanese cannons on this beach are pointing toward the Saipan harbor. I'm not sure if they were used during the battle as they had no protection from the numerous U.S. battleships, cruisers, and destroyers in the harbor. Inscription on a WWII Japanese cannon on Managaha island in Saipan. The ferry arrives at the Managaha dock. The below two pictures of Managaha Island were taken from Micro Beach. The large beach was once called the third best beach in the world. View of Saipan from Managaha. 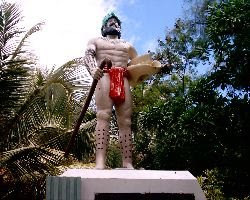 Chief Aghurubw was the Carolinian navigator. The snorkeling is terrific at Managaha. My son kept pointing at the coral saying eel, eel. I couldn't see anything so I got closer and closer until... zoom. He shot out at me in attack mode. Actually it was probably escape mode but in the first few seconds it was hard to tell the difference.